Back to the book at hand. 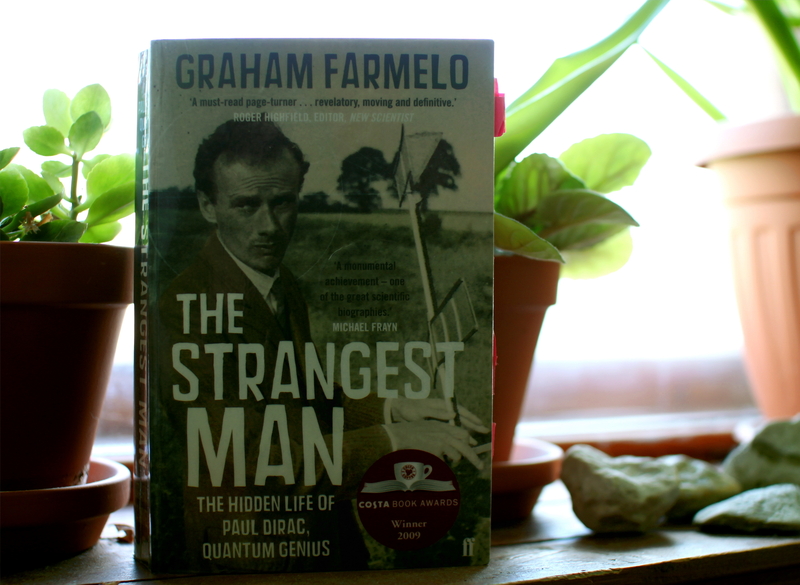 The Strangest Man probably got it’s title from something that the famous physicist Niels Bohr once said about Paul Dirac, whose biography this book is, namely that Dirac was the strangest man he knew. Probably to most people the name Paul Dirac says very little. Not so with physicists – the Dirac equation is one of the things already undergraduate physics students have to wrestle with. In this book there’s all the background for it, and even more – it almost seems to chronicle the beginning of quantum mechanics, it’s not just about Dirac, you also get a glimpse into the lives of the other famous quantum physicists – Wolfgang Pauli, Werner Heisenberg, Erwin Schrödinger, etc. If the former wasn’t successful in scaring you away from reading that book, then good! Because it does have some physics, but no equations, and you can follow mostly everything without knowing anything about quantum physics beforehand, it’s more history of one man behind it. But now to the exciting part – why would the Nobel laureate Bohr think Dirac so strange? Well there were many great examples for what might make Dirac seem strange: he was very quiet and shy (but that’s usual), very literally minded, wanted to refuse his Nobel prize in physics because he didn’t like publicity and attention, but was persuaded that his refusal would get him even more attention. And if you’re ever asked do you know of a physicist who bought a baby alligator and sent it to his colleague, then it was Dirac, who sent it to George Gamow (Gamow’s wife opened the package and got bitten). This entry was posted in biography, history of science, Non-fiction and tagged biography, Graham Farmelo, Paul Dirac, Physics, quantum physics, The Strangest Man. Bookmark the permalink.